Our Fresh Milk range includes both Full Fat & Low Fat, with both coming in 1 litre and 2 litre sizes. 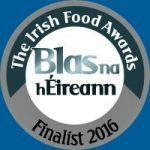 Sourced from farms within 3 kilometres of our premises in Killeshin, the freshness can be tasted in each bottle. For catering, we have our 13.5 litre poly in both. Known for it’s many health benefits, which includes easier digestion in comparison to cow’s milk and lower amounts of allergy causing proteins, demand for Goat’s milk continues to grow. 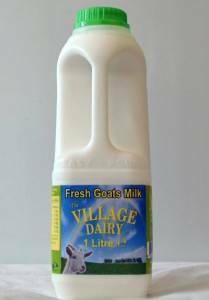 With these added benefits, it’s certainly worth trying The Village Dairy’s fresh, 1 litre of Goat’s milk. Whether using it for baking bread or making scones, the smooth texture of Village Dairy Buttermilk stands out to others on the market and will give a great texture and richer taste for better results! Available in our 2 litre bottle. Featuring both Fresh & Organic cream, we guarantee that both will add that something extra to any dish, be it desert or using it for cooking. Available in 2 litres Full Fat and Low Fat, our organic milk range is locally sourced and has all the goodness that comes with fresh, organic milk. With more natural nutrients and natural treatment of livestock, organic milk is becoming increasingly popular nationwide.